As we travelled halfway across the world to Otago University, we didn’t quite know what to expect. 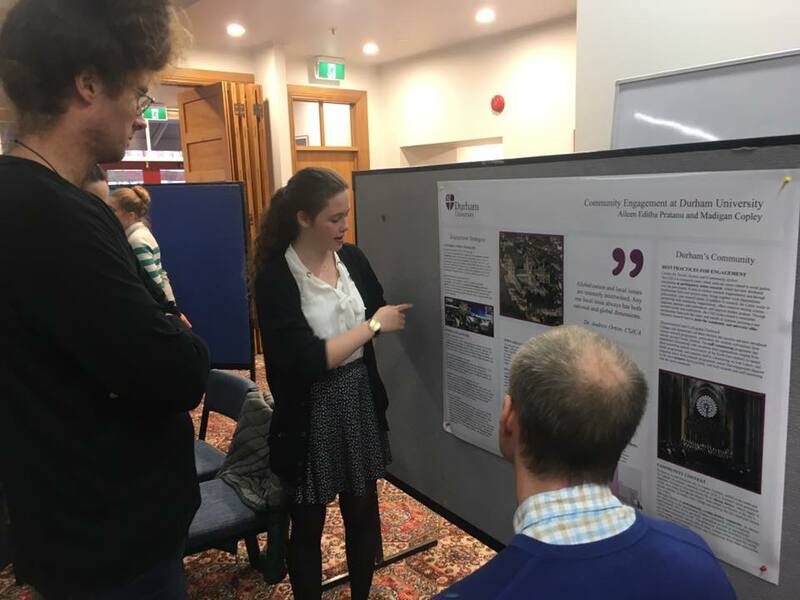 We knew it was a great opportunity to meet and exchange ideas with other students and faculty members, but we didn’t anticipate how life-changing the Forum was going to be: both to us and to Durham University. The Forum proved to be massively useful in highlighting both Durham’s similarities with other universities and how our University can put tangible plans into action. Through our discussions and sessions, we found that most of the universities represented faced similar struggles, including a noticeable divide between the town and university, a lack of continued engagement stemming from student transience, and a need for both student and community involvement in high-level decisions. This shows the success of MNU in gathering similar universities and ensuring that they have space to share and discuss both problems and solutions. 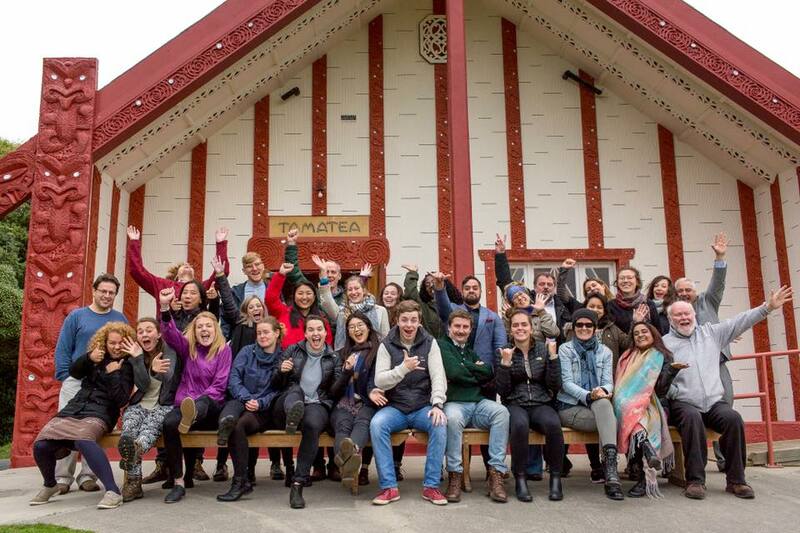 Our visit to the Ōtākou marae and Te Kaika was one of the highlights of the Forum. The visit broadened our perspective on the prominent role that the University plays in bettering the whole community. 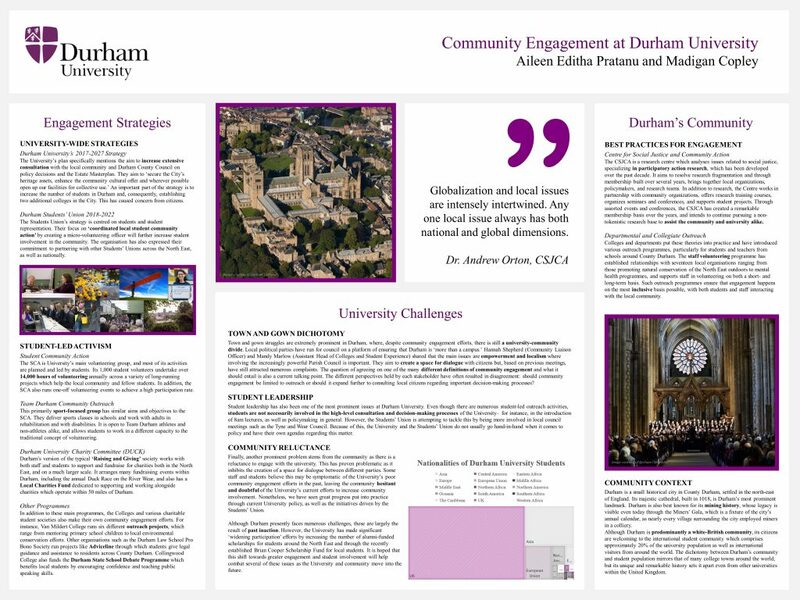 Although Durham University has had much success in their low-level community engagement (i.e. volunteering, outreach, etc), it is crucial that these efforts are continued and furthered. Another highlight was the chance to have other University representatives propose solutions to Durham’s problems, which was incredibly useful as they were both fresh and objective ideas which we will definitely share with our colleagues in Durham. To make the Matariki Network’s vision a reality, there are three main steps we will take at our University this academic year. First, we are aiming to increase recognition of the Network by hosting events and workshops across the year culminating in Durham hosting the 2019 forum to benefit students and faculty alike. We hope that these events will create a space for dialogue for both international and home students, postgraduates and undergraduates, students or staff. Secondly, as Durham’s delegates to this year’s forum, we are also in the process of feeding back what we have found to be common challenges and practical solutions to problems we face to the Student’s Union and University staff. This will happen at the beginning of the academic year so that we will have the chance to make real changes throughout the year and reflect on them during the 2019 Forum. Thirdly, we will liaise with student leaders and staff to ensure that the Matariki values are implemented by student-led projects such as Student Community Action (SCA) to the high-level decision-making processes of University executives. And now, as we travel back to Durham, we have had the chance to reflect on the Forum. All in all, it was an incredibly humbling, beneficial and rewarding experience to be a part of. We are certain that, without the Forum, we wouldn’t have been able to brainstorm solutions and put plans into action. Improving Durham’s community engagement efforts has begun, and it all started from the Forum. We look forward to sharing what we’ve learned with our colleagues in Durham.